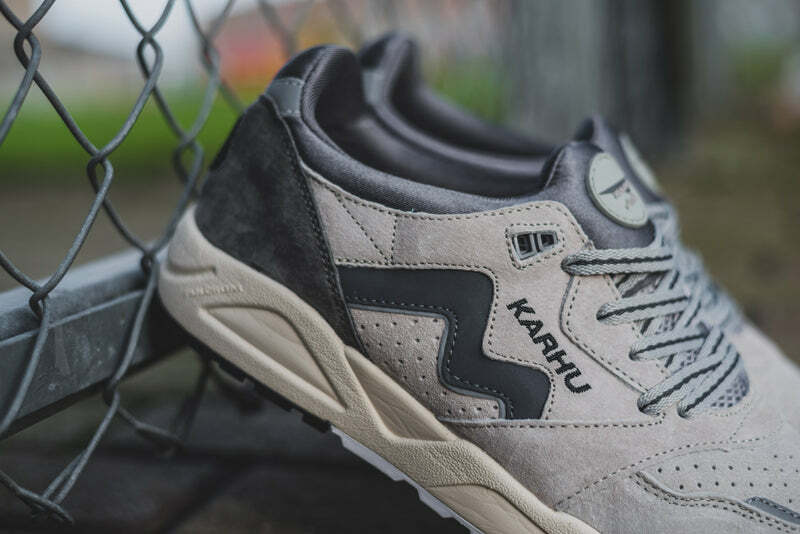 European running brand Karhu’s second release of the moment also draws inspiration from their Finnish roots and the dark polar scenery in its two Aria releases dubbed “Polar Night”. 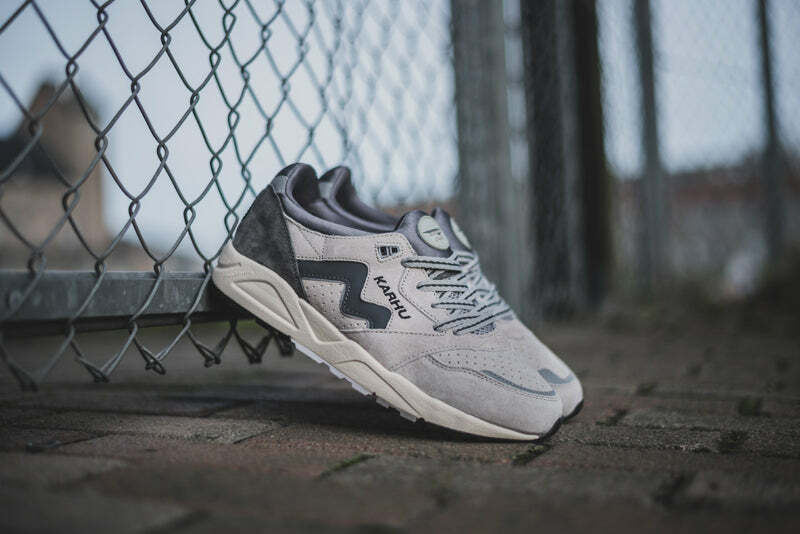 Originally released 20 years ago as a performance trainer, the Aria debuted when injection molding midsole construction was at the forefront of footwear engineering. 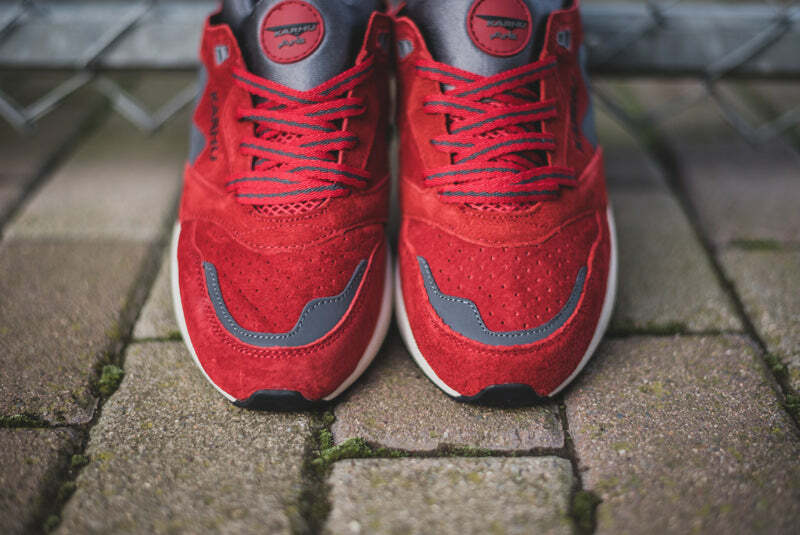 The advancements in construction allowed EVA midsole shapes to become more complex and aesthetically captivating. 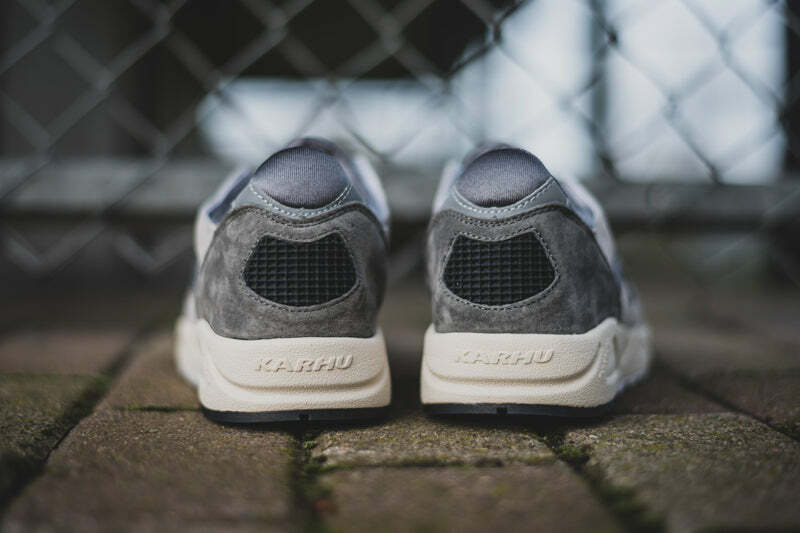 A “Polar Night” occurs in Winter where the sun barely rises above the horizon, laying a mystical dim light to the Nordics. 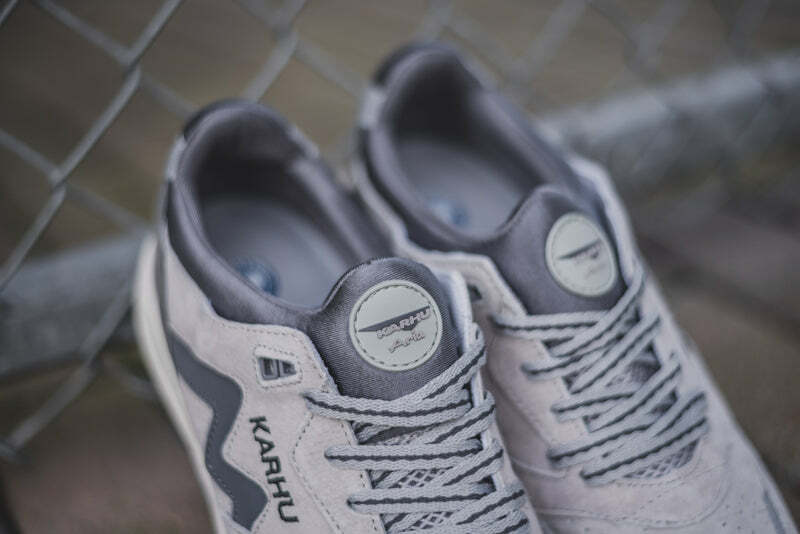 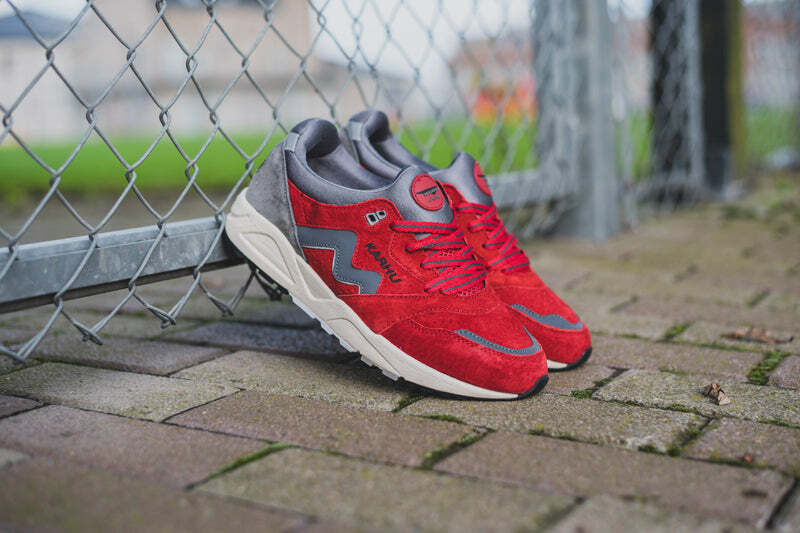 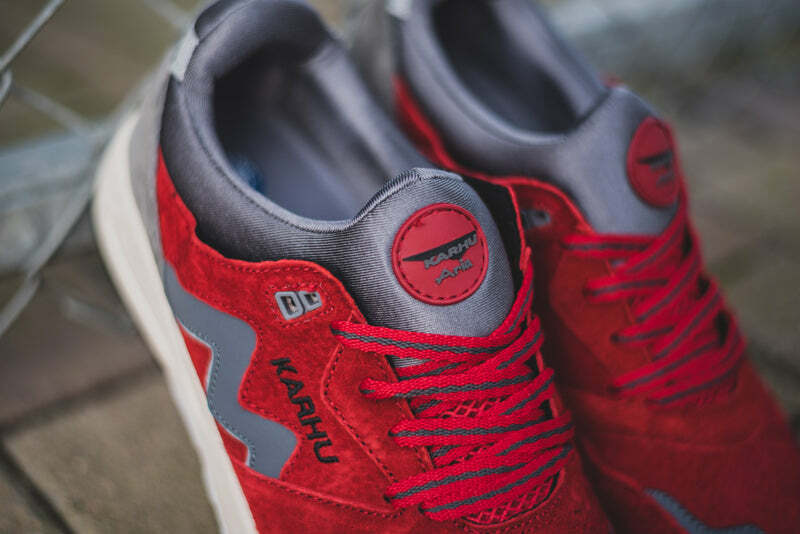 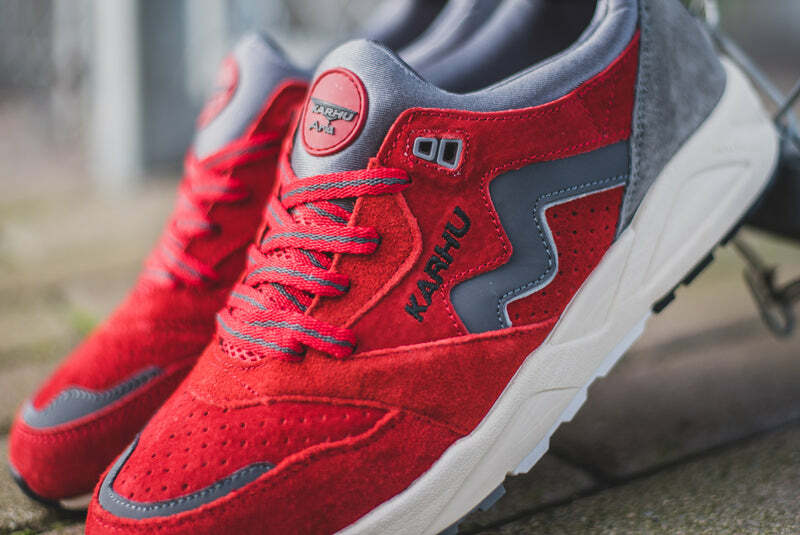 To represent the time of year when nature is filled with different shades of grey and the dim sunlight that peeks from the horizon gives the skyline a darker red accent Karhu have used both a Grey and Burgundy based colourway. 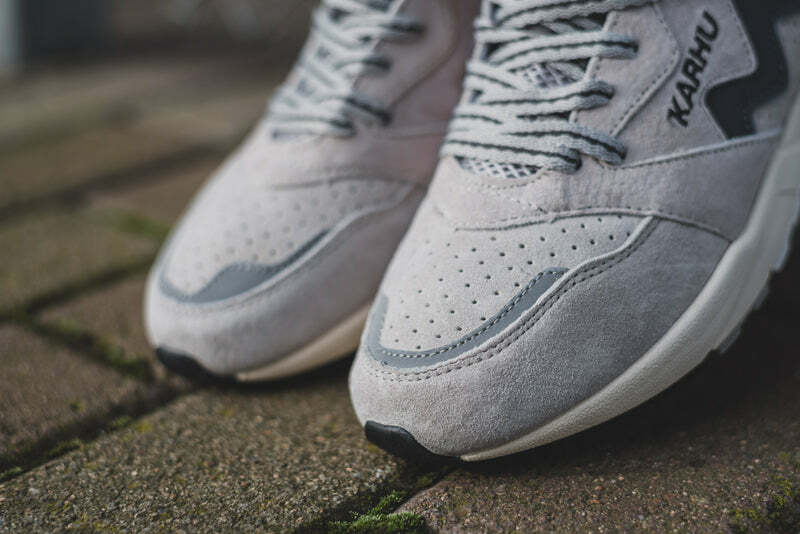 Both colourways are made with premium pig skin suede and come with 3M reflective details. 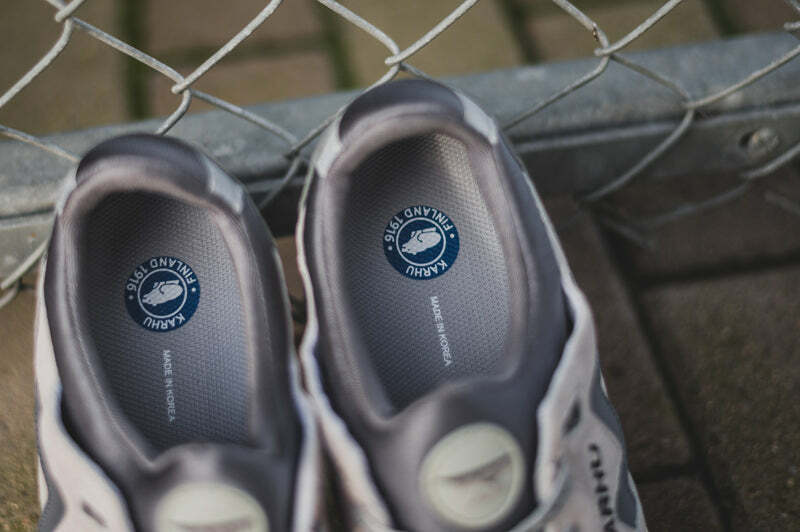 The secure fit of the mono sock upper gives a sharp look to the shoe whilst improving the overall fit.